Laura is a partner in William Fry’s litigation & dispute resolution department specialising in intellectual property and regulatory law, dealing with both contentious and advisory matters. Laura advises on all aspects of work involving patents, trademarks, copyright, designs and confidential information and has extensive experience in large-scale litigation before the Irish Commercial Court. She is particularly experienced in complex multi-jurisdictional patent disputes and has acted in many of the patent cases that have come before the Irish Court in recent years. 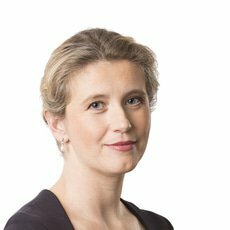 Laura also has significant experience in acting for regulators in defending judicial review actions, statutory appeals and other legal challenges. Laura has particular expertise in the pharmaceutical, biotech and medical device sector from a regulatory, commercial and intellectual property perspective and is co-head of the firm’s Life Sciences and Healthcare Group. Other areas of focus include regulatory and other issues in the fields of telecommunications, broadcast media, and advertising and marketing.